Louisiana Police take their Town Back! A black gang in Louisiana called the Gremlins had been causing terror for quite some time. The police and many back leaders of the area had had enough. 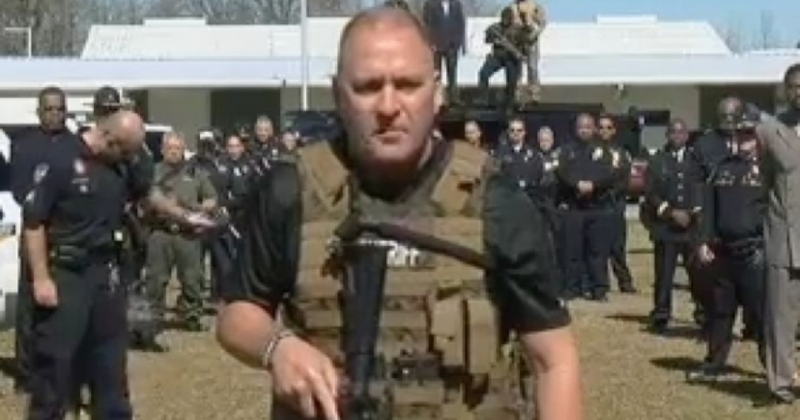 Captain Clay Higgins sent a message while on TV to the group of thugs and lets them know that they are being hunted, and these heathens will lose. And to all Liberals, he says that if they want to make it a racial thing, there are black leaders standing next to every policeman in the video. This is the way law enforcement should be with the community, particularly the black community. You can bet that the criminals he mentioned are not finding safe harbor among that community, and are on the run. This is the way America should treat thugs, and not make excuses as Liberals are so prone to do. KUDOS to this community, and the rest of America should take notice.